Bitumen laboratory plants - GlobeCore Bitumen Emulsion. 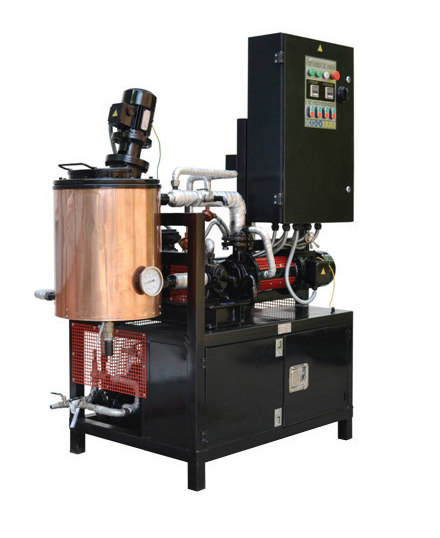 UVB-2-L bitumen modification laboratory system is designed for preparation of small samples (no more than 10 liters per batch) of modified bitumen. The system uses continuous bitumen mixing process with further dispersion of bitumen and polymer in the mill. Unit design allows for addition of other liquid components in the process of bitumen modification. — testing and refining of the bitumen emulsion recipe with given emulsion components and intended emulsion application. 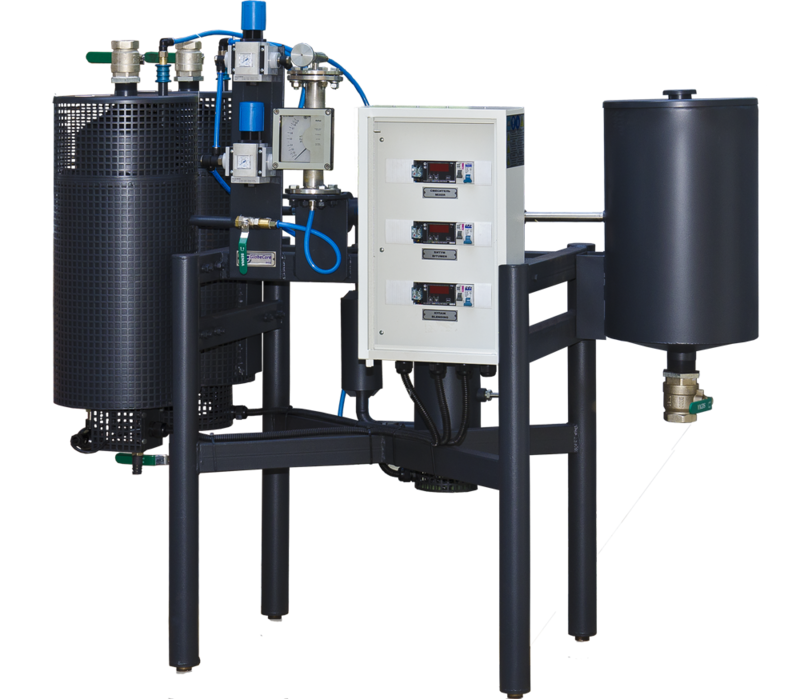 This unit can be supplied in addition to UVB-1 bitumen emulsion production unit or as a stand-alone product.